Pastor Aaron Goerner grew up in New Hartford, NY and became a Christian in high school, “Before my conversion I read the Bible every night. After my conversion the Scriptures came alive as if I was reading them for the first time. 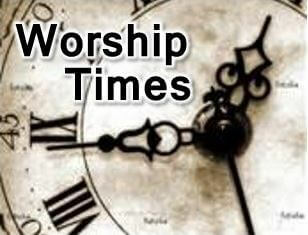 Christ had filled the sense of eternity within my own soul” (Ecclesiastes 3:11). Aaron graduated from high school in 1989, then went to the Oswego State University (B.A. biology, 1993). He married Heidi, his high school sweetheart, in 1993. They moved to Pittsburgh, PA where Aaron completed a M.Div. at the Reformed Presbyterian Theological Seminary (class of 1996). 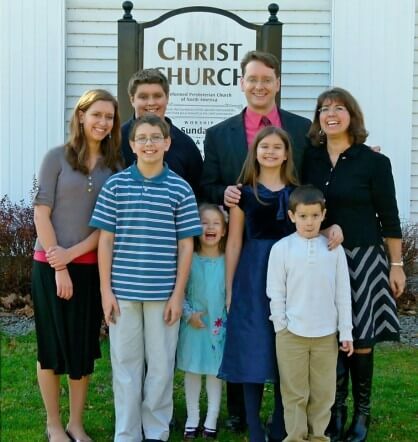 Aaron was ordained and installed as the pastor of the Christ Church on May 16, 1997. He now lives Utica, NY with his six children: Lydia, Benjamin, Daniel, Grace, Abraham, and Magdalene. In addition we have a bearded dragon and a leopard gecko. Pastor Aaron’s interests include reading, roasting coffee, baseball, skiing, time with his family, and playing games (recent favorites are: Sushi Go!, For Sale, Werewolf, Dominion, Settlers of Catan, and Dutch Blitz). You can listen to some of his sermons on Sermon Audio.